1. 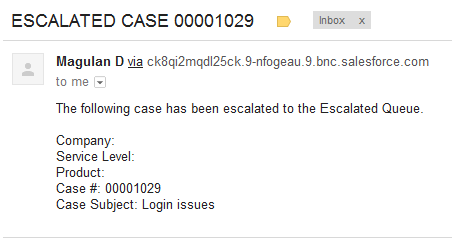 Go to Build --> Customize --> Cases --> Escalation Rules. 4. 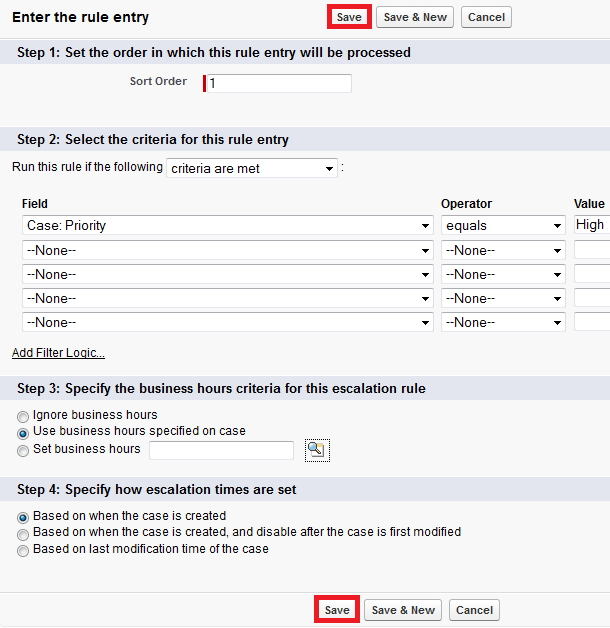 Check the "Set this as the active case escalation rule" check box. 6. Click the Rule Name. 7. 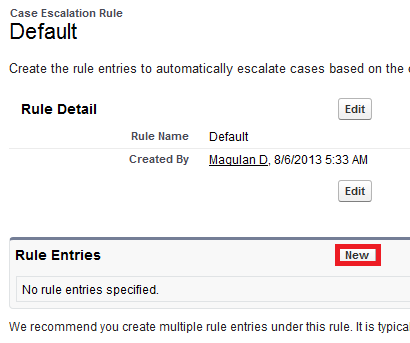 Click "New" under Rule Entries. 8. Fill in the details and click "Save" button. 9. 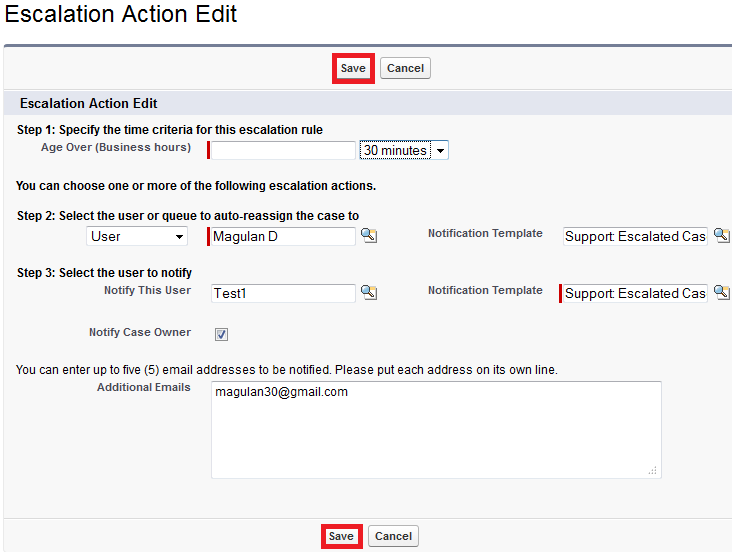 Click "New" under Escalation Actions. 10. Fill in the details and click "Save" button. 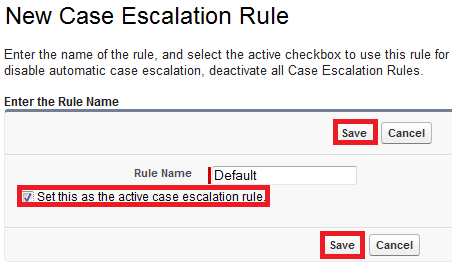 hi... i tried to do case escalation as per the steps specified above with same condition but my case is not getting escalated... what could be the reason?? 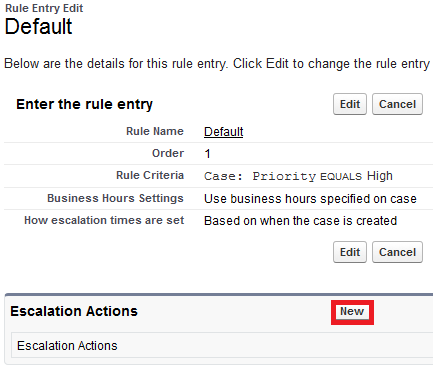 pls help..
i can't find escalation rule in my menu. please hlelp !!! Raise a Salesforce.com support ticket. can we write a escalation rule for 10 minutes. any idea how to do this? 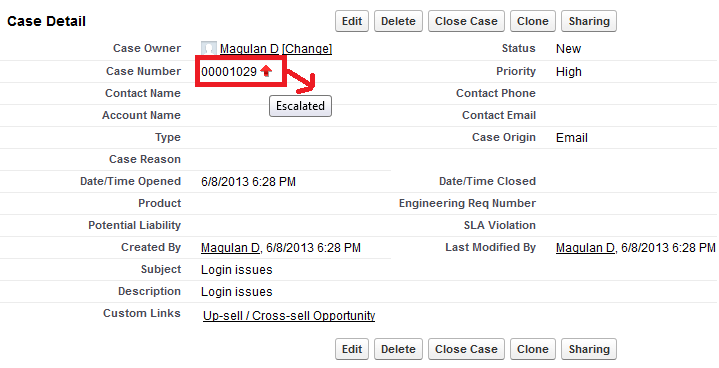 Try Workflow time Trigger and Scheduler apex. how to write a case escalation for 10 minutes, any idea how to achieve this ?